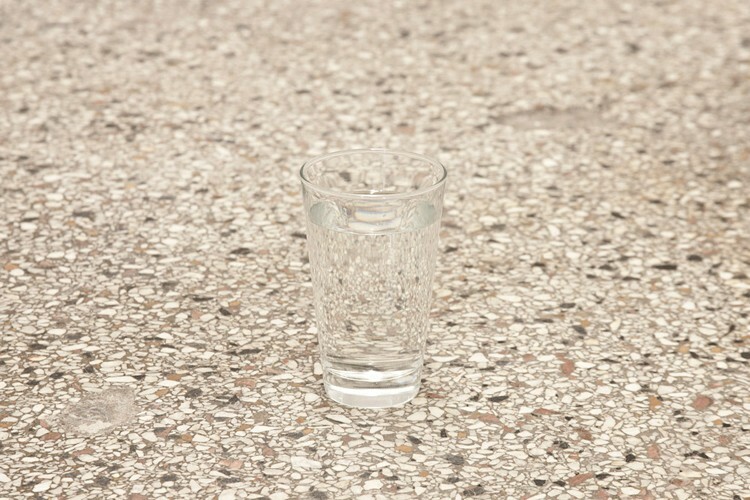 „Water” was initially created in 2009 for the Kunstmuseum Magdeburg. The environment was constructed in a 900 year old Romanesque crypt and the context of such particular architecture was crucial to the artist at the time. It goes without saying the simplicity of Kamoji’s gesture is only illusory as it is in fact a result of a mature individual artistic practice. “The heroes of this exhibition are things, and not their author who is showing them here. For me being is the most important attribute of things. We can touch being when we identify with a thing. It is necessary to be attentive, and have inner silence and a will to listen. For an artist, whose practice is so deeply rooted in Zen metaphysics the ceremonial quality of the initial space might have been overwhelming and indeed distract from the essence of the work, which was neither about spectator’s realisation of the architecture nor about the object itself (in fact the text from the exhibition catalogue concentrates essentially on the architecture). Zen is very simple, it denounces the ritual but rather operates within a framework of simple daily situations (environments). 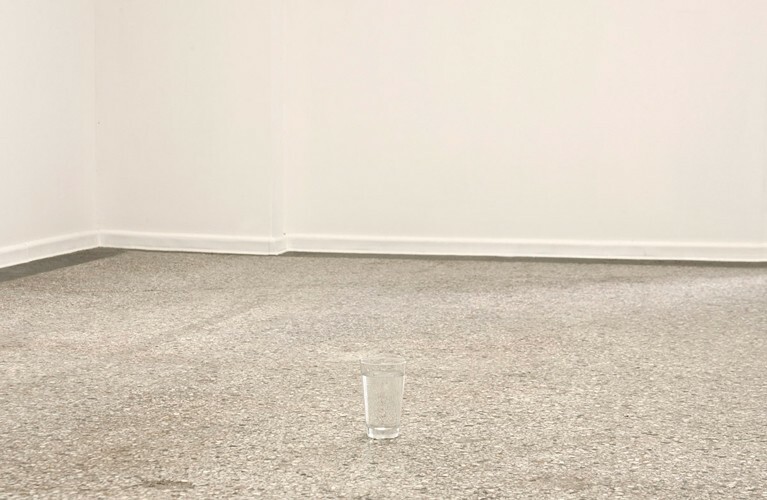 At MMS2 “Water” is installed again, however in a plain context of the space, where no ritual, no particular architecture, architecture of ‘spritual quality’ in the western sense distracts one and might lead one astray. 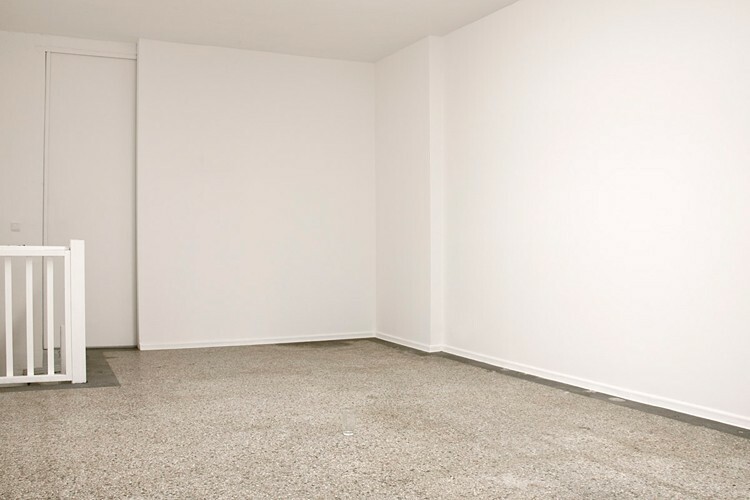 This simple space which is neither a Romanesque crypt nor sacred space for art (white cube) poses an ordinary situation, where a most ordinary object is placed. A recent molecular research has proven human emotions are capable of changing molecular structure of water (both the water within our own body and the water which is placed nearby): the positive emotions make the structure more organised whereas negative ones make it chaotic. Perhaps touching of the being which the artist refers to can be understood through one of these recent scientific discoveries. After all contemporary advanced physics finds more and more means to explain what had remained inexplicable and what it had once denounced.